After a long journey and two full on days we were well up for taking things a little gentler on Tuesday. Quite how we ended up walking five miles across broken country and rocky shorelines then is anyone's guess..
Glengorm was destination of choice with a route which would take us around estate lands and out to the coast where two Dun’s (forts to those of you outside Scotland) waited to be explored. It was a gorgeous day with seas so blue as to look almost unrealistic and barely a cloud in the sky. 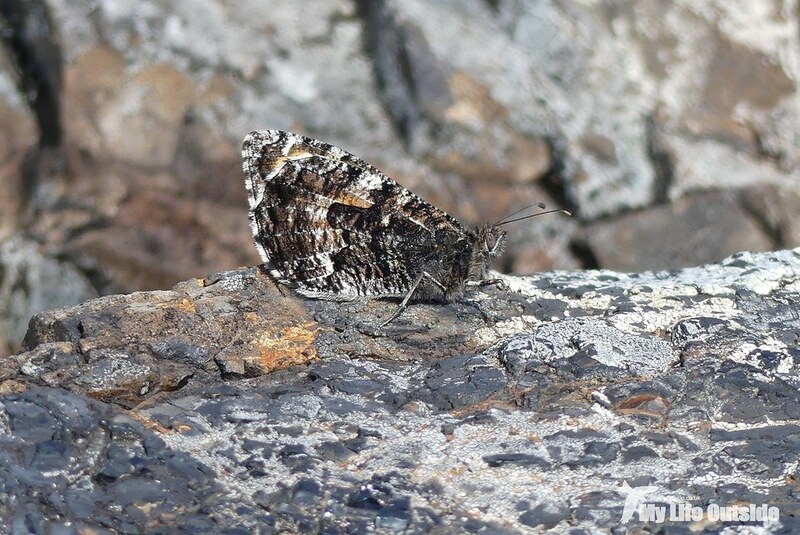 Thankfully a light breeze kept both the heat and midges at bay and hopes were high that in those more sheltered spots we might strike lucky with a few butterflies. 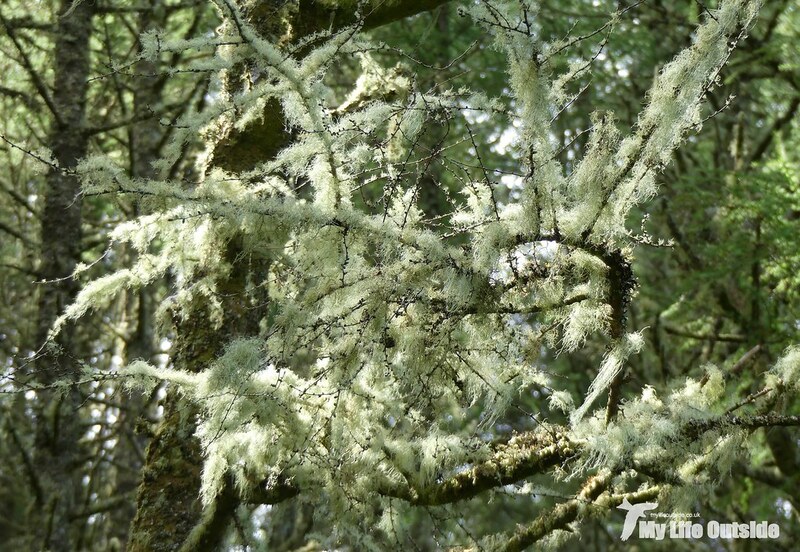 Having walked through plantations draped with lichen we burst into the open and got our very wish. 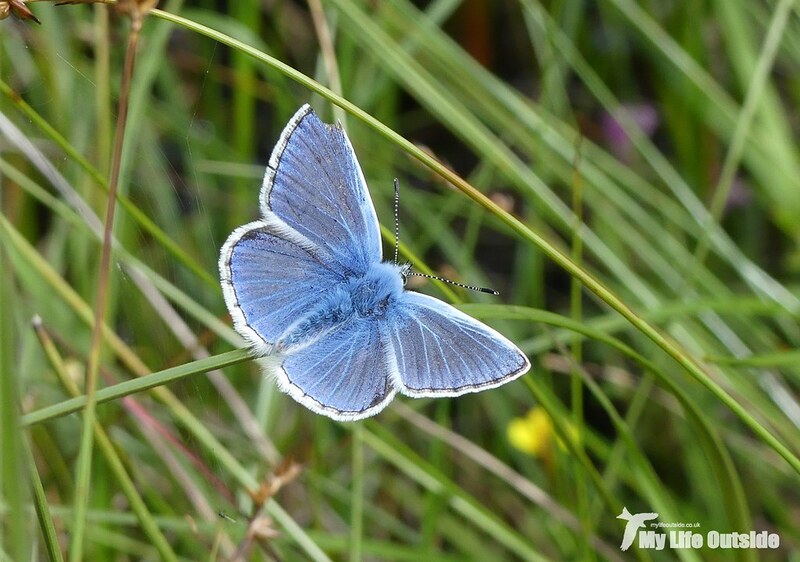 First up was a Common Blue, then numerous Green-veined Whites before a trio of Graylings down on the rocky shoreline. 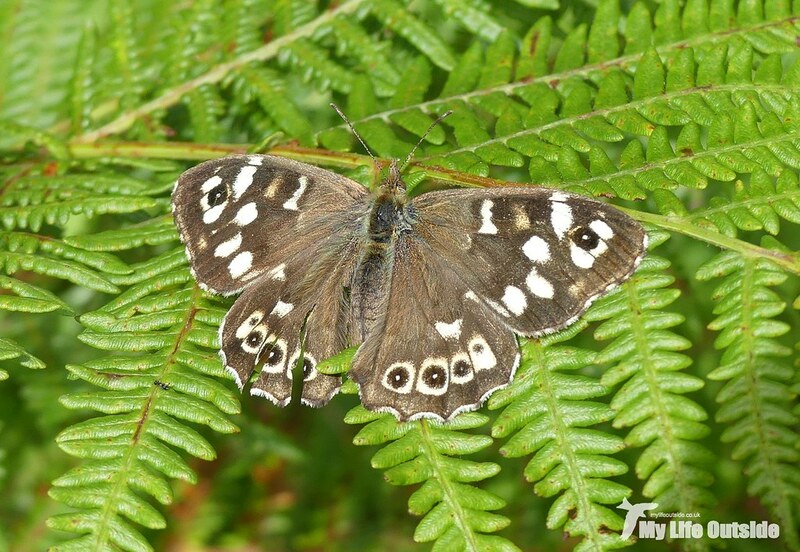 My personal favourite though was a Speckled Wood which originally had us thrown. It looked significantly different to those we get back home and upon further research turned out to be a Scottish sub-species. By my rules that’s technically a new tick. 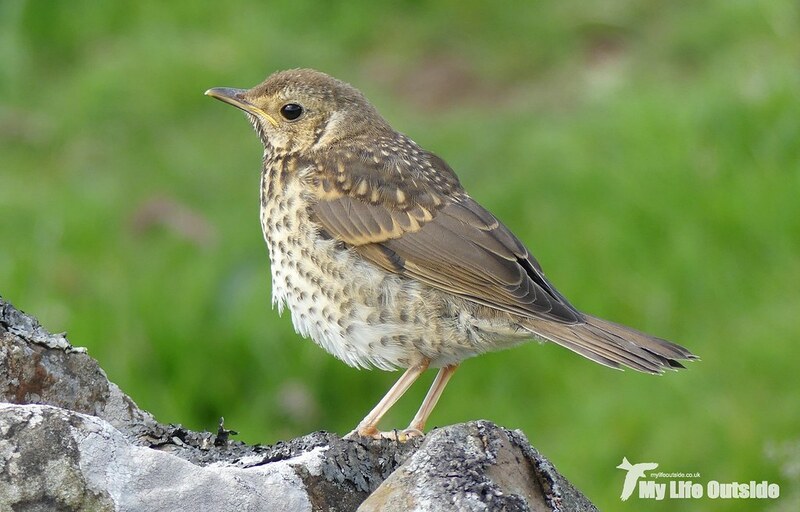 Inland areas held a surprisingly high number of juvenile birds including several families of Willow Warbler, Robin, Blackbird, Wheatear, Starling and even Song Thrush. The latter posed beautifully and left me enthralled. 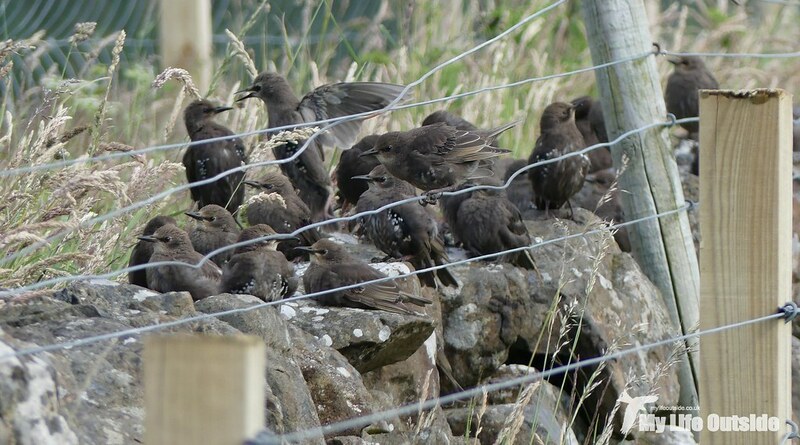 There was also a surprise interruption by a single Tree Pipit which alighted briefly in a nearby tree, called and then went on its way marking only my second ever Mull record. 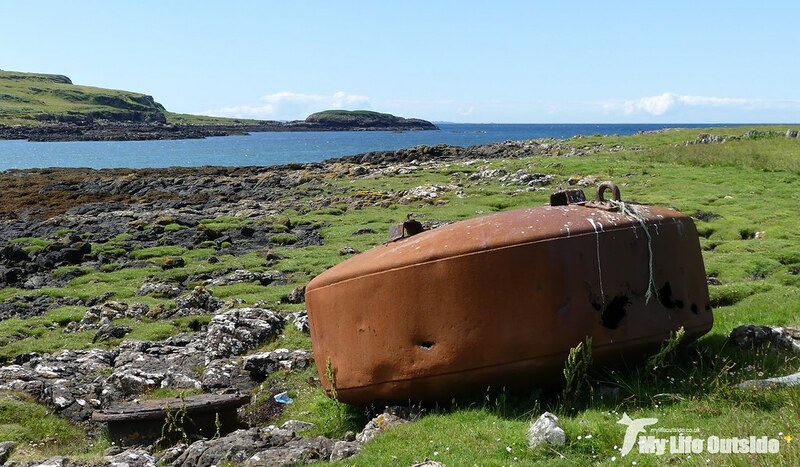 Whitethroats, Redpoll and a trio of Ravens welcomed our arrival at Loch Mingary where the old pier and rusting buoy made for interesting subjects. Here too were several Common Sandpipers but all were incredibly flighty not allowing an approach or indeed permitting us to occupy the same stretch of coast it seemed. The same could be said of a pair of Red-breasted Mergansers whose rears we saw rapidly departing. 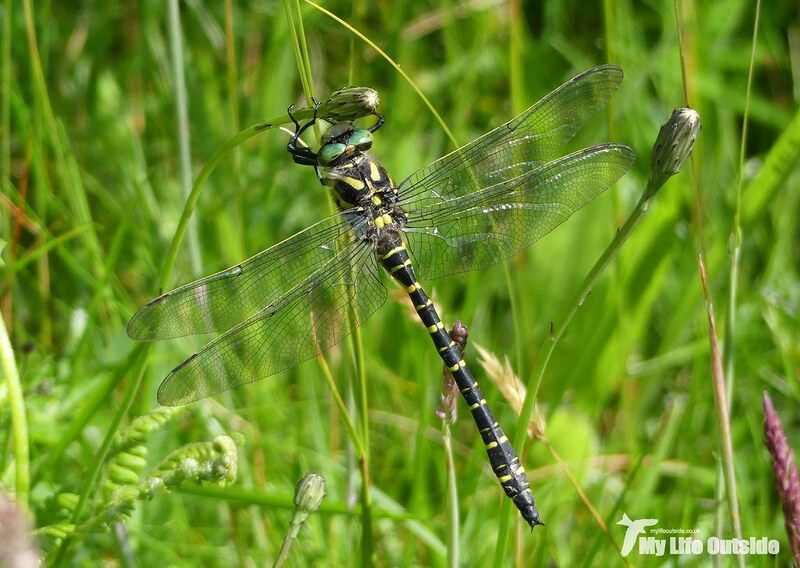 Thankfully I had more luck with a noisy family of Rock Pipits and this rather superb Golden-ringed Dragonfly. When we did finally make it to Dun Ara the views out across the Sound of Mull were simply superb. 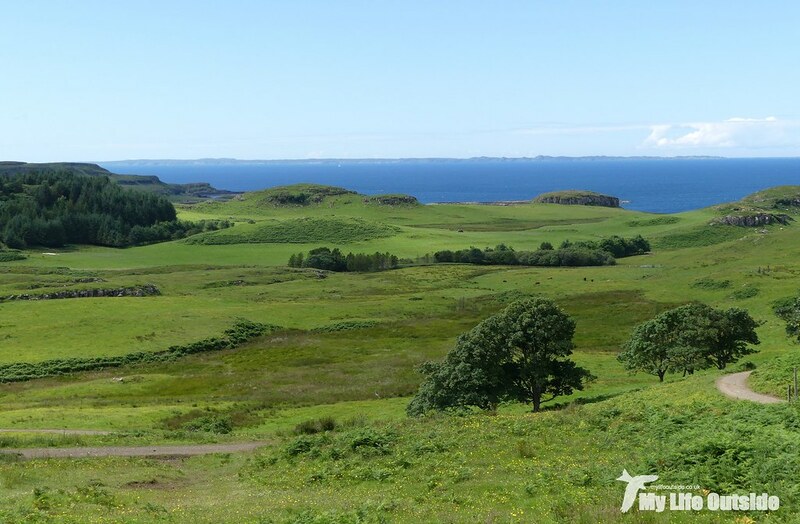 In the background Ardnamurchan peninsula was swathed in purple and beyond the islands of Rum, Skye and even the Outer Hebrides were all visible. We sat for a while to take it all in and watch optimistically for any whale or dolphin action. No luck on that front but we did spot a huge flock of Manx Shearwaters milling about before they all seemed to settle on the water. By the time we’d made it back to the car I couldn’t help feeling that a rest day to get over the rest day might just be in order. Problem is that when there’s so much to see you just can’t help but get out there exploring. Even on our drive back to the cottage we were still picking up sightings including a female Hen Harrier and one of the local Golden Eagles putting on a superb show. In a glen bordering the road it would first climb high into the sky before plummeting back to earth at terrifying speeds. Take that motorway Kestrels.